I am so excited to share this post with you guys. 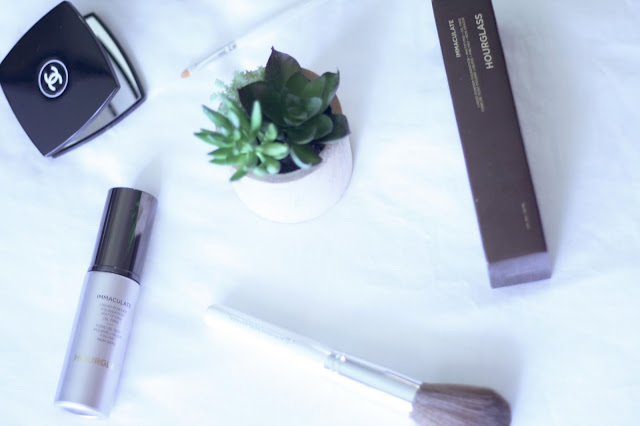 I am reviewing Hourglass' Immaculate liquid powder foundation, a must have for oily skin. I have tried and tested this product for two weeks now, continue reading to see what I thought. 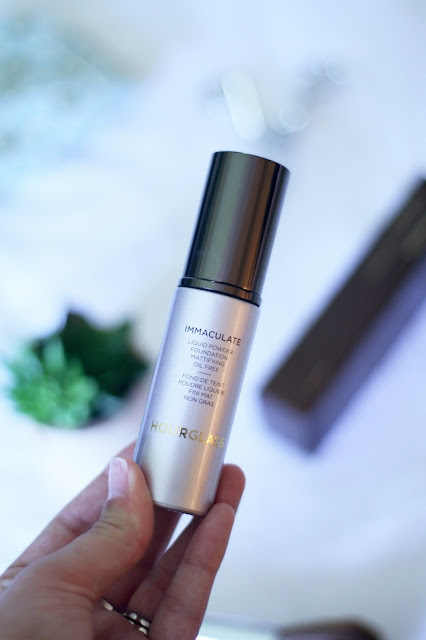 Packaging | Although this is my first Hourglass product I have always adored their packaging as its so sleek and I just love the gold lettering on the bottle. I feel like a sophisticated lady with this in my make up bag. Price | Hourglass products are known for being on the pricer end of the make up spectrum and this foundation is no exception retailing at $55 for 1oz. I decided to take the plunge as I wanted to see if it would combat my oily skin. The Colour | Immaculate foundation offers 16 colours to choose from, I recommend going into store to try before you buy. I went to Sephora where the sales assistants are so lovely and patient and really helped me pick the perfect shade, I went for Porcelain which is very fair with yellow undertones. 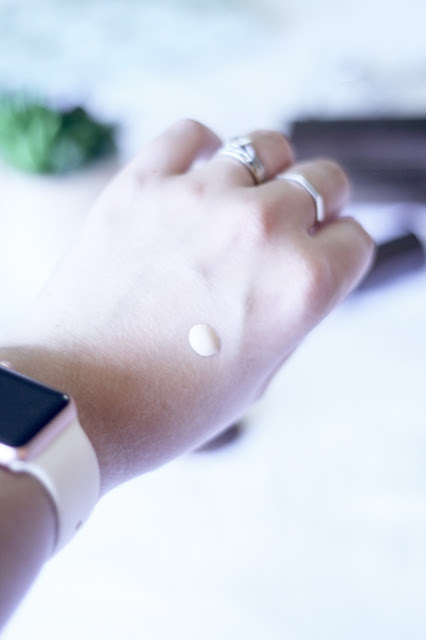 This shade matches my skin tone exactly but also corrects my red patches and eliminates my dark circles. Sephora are also really good about samples so if you are unsure take a few shades home where you can try them out in natural lighting. The Product | As I said I have been using this for two weeks now and I can not put into words how much I love this product. My skin is super oily and if i'm wearing make up all day by the time I come to take it off my skin is extremely shiny, so I just had to try Immaculate. This is a high-tech liquid powder foundation that absorbs 75% of its weight in sebum while retaining your natural moisture in the skin. Its oil-free, humidity-proof and water resistant basically the holy grail of foundations. The coverage is full with only using one pump of product, once blended on the skin it feels light but covers my imperfections well. My skin is oil free all day with no need for powder. My husband has even noticed the difference! I will definitely repurchase this product, $55 well spent. 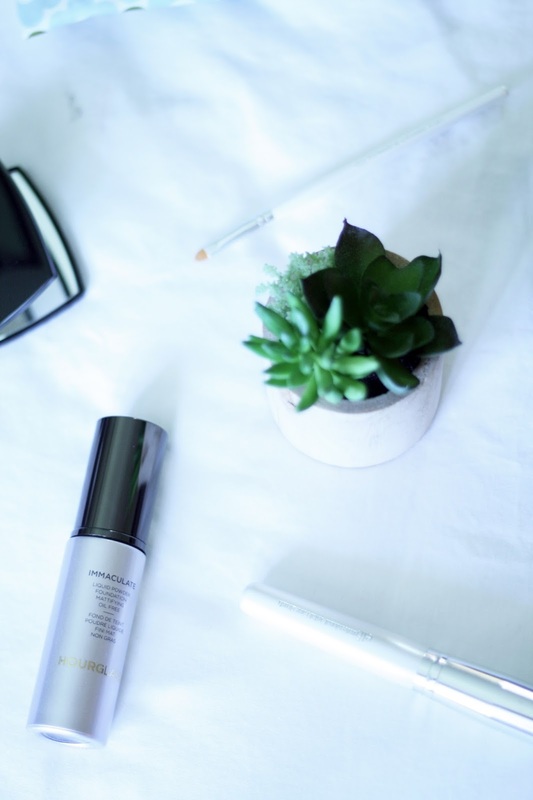 What are your favourite Hourglass products?